Home » Local Business Blog » Are Medical Exam Gloves Sanitary? Are Medical Exam Gloves Sanitary? This post was written with the expertise of My Glove Depot, a company that provides medical exam gloves by the case in Sacramento, CA. When undergoing any type of medical procedure, or even when visiting your physician for an annual physical, the use of medical exam gloves is common. Some of us may automatically associate the blue or white gloves with the smell and bright lights of a doctor’s office. While it is important that these medical professionals wear gloves to prevent spreading illness or disease, it is equally as important to consider the gloves themselves. Is it possible that these gloves will expire over time and create health problems during a procedure (or even during healing)? 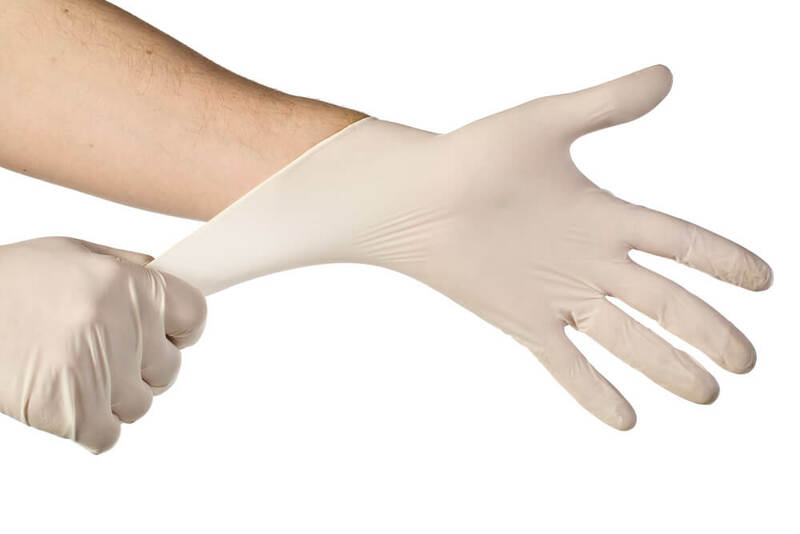 While it is important to stay vigilant, it is also wise to do some research before letting the fear take over about the sanitary properties of medical exam gloves. An important factor regarding the condition of medical gloves is the temperature at which they are stored. It is advised that if the gloves are stored in a hot and humid area, the material is likely to deteriorate much faster than if they were stored in a cool and dry place. Of course, it is also essential that they are stored far away from any contaminating chemicals or cleaning supplies. Most of this is simply common sense when it comes to handling medical supplies. Given that the gloves are stored properly and handled with care, the normal shelf life for nitrile or latex items is around four years. For further clarity each box of gloves comes with storage instructions on the box. With this knowledge, not only are medical professionals able to keep their glove storage sanitary and up to date, but also the average user of exam gloves. Sometimes, teachers or even campers rely on these gloves for hand protection. Because they are versatile and generally affordable, they are able to be used in many different ways. In January of 2017, the FDA released a statement that focused on the topic of medical exam gloves. These gloves, the ones coated in powder specifically, have been banned from being used in any type of professional medical procedure or examination. It is thought that the powder actually increases the risk of illness or injury. The powder itself is not toxic, but it can elicit different reactions when being used on skin. Through this ban, both the patient and the professional are further protected. This ban was based on research comparing powdered gloves to standard latex gloves. It is possible that the powder can create certain inflammatory responses in patients, as well as create surgical complications when dealing with patients who have adhesions. It is also important to consider the impact of patients who may be allergic to the powder that coats the gloves. They are coated in order to provide an easy way to put them on, but it is not a necessary feature of medical exam gloves. Through this ban, the FDA determined that this would not cause any type of detrimental or economic impact on the healthcare industry. They actually determined that this ban would create a positive change in net benefits, along with the overall positive change in health of patients that are being seen/operated on. While there are always a fair amount of risks involved in the medical field, it is thought that the worry of expired or unsanitary gloves should not be a consuming thought. It is generally known that if the gloves are being stored properly, the risk of contamination should be kept to a minimum. Some companies even claim that gloves can last beyond the standard four-year shelf life. However, as there is no official guarantee that medical supply companies are willing to extend to consumers, the FDA can be utilized as a reference point of information. If the packaging is broken, the guidelines for shelf life are obviously not applicable since the gloves are already contaminated by being exposed to outside elements. Temperature also impacts the way that the gloves will hold up in storage. A sealed box with extended exposure to ozone/ultraviolet light as well as temperatures above 90 degrees are some factors that can contribute to deterioration. When latex is heated too much, cracks can form and tear the material. The heat breaks down the components, making them weak and unfit for use. It is easy to identify this upon putting on the gloves, as the cracks will be evident. As previously mentioned, medical exam gloves do not necessarily expire, and it is easy to recognize if they are unfit for use by a quick inspection of them.